Many people do the quick check of their car before their MOT to help to make sure it passes. However, many motorists forget the obvious details that can cause the vehicle to fail. 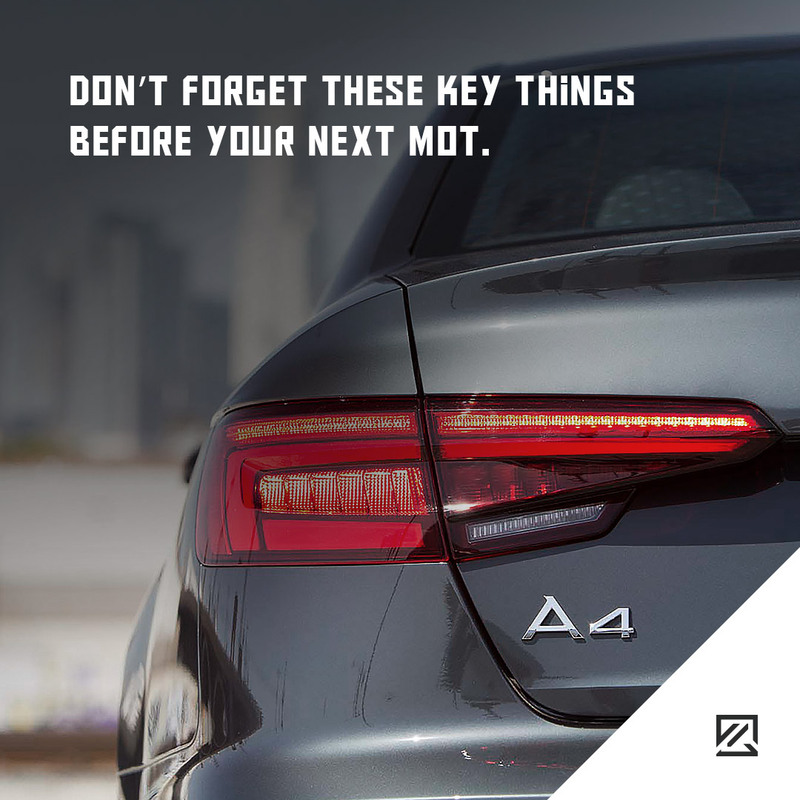 Make sure you don’t get caught out by checking these key things before your next MOT. It seems so obvious, but if you have a light out, then you can fail your MOT. In fact, 30% of MOT failures are due to lights and signalling. Check every light and indicator and don’t forget the brake light. It may help to have someone help you check the brake light or find a reflective surface to reverse up to. Don’t forget the high-level brake light either! If you buy a new registration plate, not all of them will pass their MOT. This is because they may have incorrect space or be too small for the requirements. You should make sure to check your number plate will pass the MOT and ensure only to buy number plates from registered suppliers. Chips and cracks in the windscreen can cause your vehicle to fail its MOT. This is why it is important to repair any chips as soon as you spot them to prevent them from becoming a bigger issue. Remember that a crack over 40mm will cause your MOT to fail. A chip wider than 10mm in the eye line of the driver will also cause an MOT to fail. All of your fluids need to be topped up and between the minimum and maximum line. You can even be failed for not having enough screenwash. Before your MOT, make sure to check all fluids including coolant and screenwash. You also need to make sure your car has sufficient fuel for the MOT. The air freshener hanging on your rear-view mirror may seem innocent, but it can fail your MOT. In fact, almost 10% of MOT fails are a result of ‘driver’s view of the road’. With this in mind, make sure to remove any toys, trinkets, stickers or air freshener, so you have a clear view ahead.